The Union was established in accordance with the regulations of the consolidatedstatute and regulations of specialized Arab unions and the provisions of its fundamental provisions approved by the Council of Arab Economic Unity (CAEU) in the 38thsession (Resolution 820/D 38 on02.12.1981). The Arab Republic of Egypt has ratified the Statute and the Convention under Presidential Decree No. 103 of 2006 and ratified by the Egyptian People's Assembly. The document of ratification was deposited with the CAEU General Secretariat in August 2006. The CAEU, in its 104thsession held on 25.05.2017, approved by Decision No. 1737/D104, the request of the Arab Union of Customs Executives(AUCE) for joining the Specialized Arab Unionsoperating within the scope of the Council. The Union represents a juristic person and shall have the full legal capacity to exercise its activities and achieve the Arab objectives. The Union also entertains administrative and financial autonomy. The Cairo-based Headquarter of the Union together with branches, outletsand offices, shall entertain the same identical privileges and immunities of the CAEU set forth under the agreement on privileges and immunities of the CAEU and according to what agreed upon with the concerned states. Members of the AUCE Board of Directors, the Advisory Council, Standing Secretariat, heads of branches and offices of the Union entertain privileges and immunities set forth under the agreement of the CAEU’s privileges and immunities according to what agreed upon with the concerned states. The Union has its own administrative and financial independence. The Federation's headquarters in Cairo and its branches and offices enjoy the privileges and immunities provided for in the Agreement on the Privileges and Immunities of the Council of Arab Economic Unity, as well as in agreement with the concerned countries. 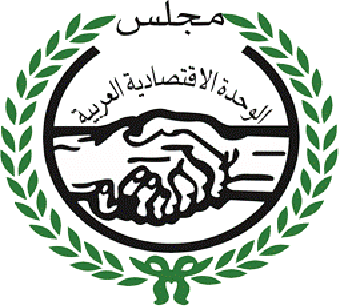 The members of the Board of Directors of the Union, the Advisory Council, the Permanent Secretariat and the heads of the branches and offices of the Union shall enjoy the privileges and immunities provided for in the Agreement on the Privileges and Immunities of the Council of Arab Economic Unity, as well as in accordance with the agreement of the States concerned.